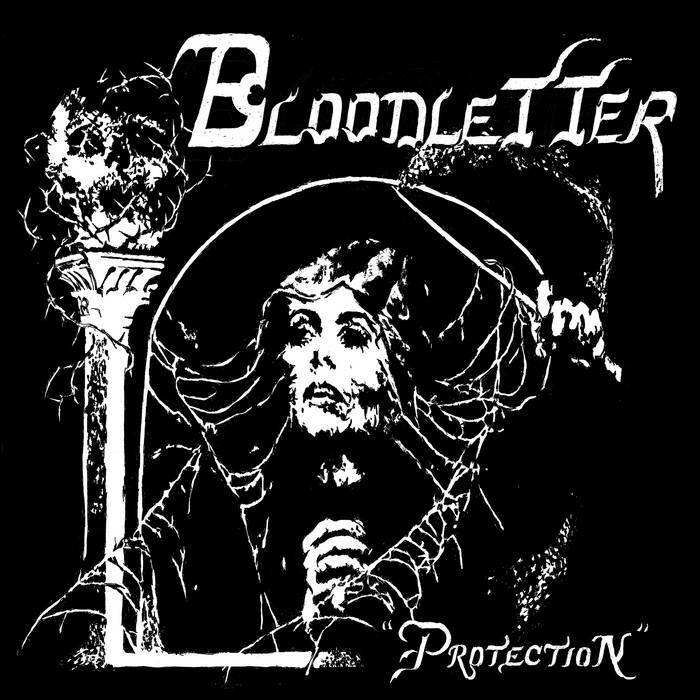 Home > DISTRO LP > BLOODLETTER "Protection" 12"
Hailing from Brisbane, the Sunshine State, perhaps the most stereotypically Australian of all the Australian states - BLOODLETTER here present their second offering following hot on the heels of a stellar 2017 demo on Lost in Fog Records. Whilst the most immediate point of reference would be ‘post-punk from across the pond’ ala CHARMELEONS, CRISIS and SIOUXIE AND THE BANSHEES, beneath it runs a more traditionally American sound in line with WIPERS, X, MISSION OF BURMA, and even HUSKER DU. Recorded live to tape at Queensland’s incredible Mount Nebo the end result is a record that does well to capture the bands uncompromising presence - a merging of dark hooks with driving melody. Featuring members of TEARGAS, 100%, DREAMTIME, OCCULTS, ZODIAC, PLEASURE SYMBOLS and more ‘Protection’ sees the group expand their sound beyond initial horizons to a more realized balance of thick atmosphere and biting melodies; a dark and melodic sound with unshaken resolve. Highly recommended! 4 track single sided 12” with fold over cover and screen printed vinyl. All artwork by Cassidy McGinley (Blank Spell) with additional layout by Ratboy and BLOODLETTER. Limited to 300 copies. All physical copies come with digital download. No Patience Records.